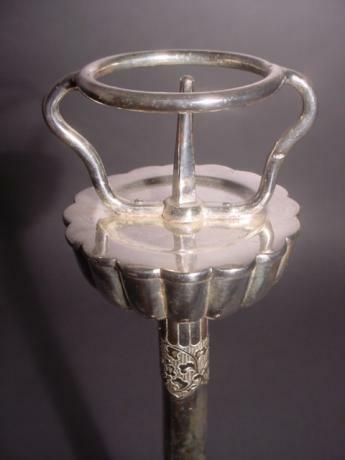 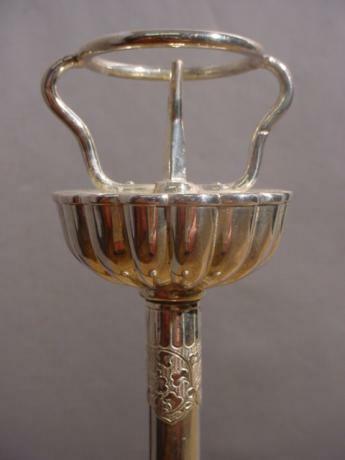 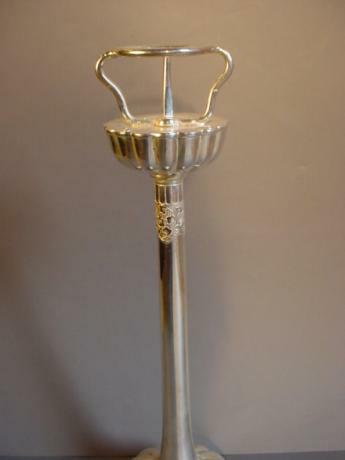 Description: Japanese Meiji Period silverplated bronze candlestick. 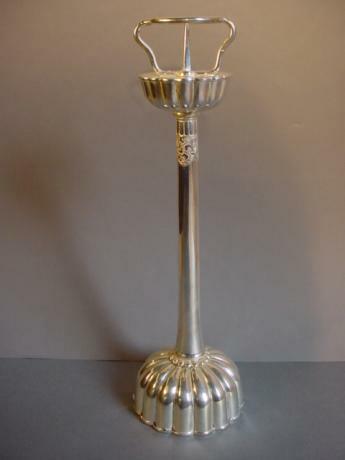 The base and top are done in a chrysanthemum blossom design. 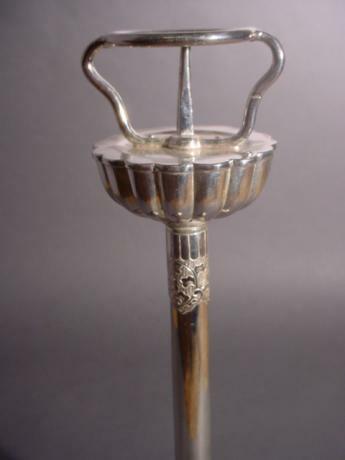 The top of the shaft is decorated with an etched piece. 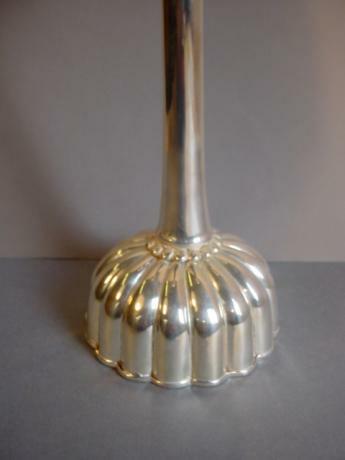 The piece stands 11" tall by 3 1/2" diameter at the base and 2 1/4" diameter at the top.